The TNT North Metro Training Team will be holding a silent auction and concert at the D-Note in Olde Town Arvada on July 10th from 7:30pm to 10:00 pm. Each team member will be procuring silent auction donations from various local vendors and these items will be displayed so people can bid on them throughout the evening. Three of Manick Sorcar's artwork will be auctioned: "Staring at Sky", "Mother Teresa", and "Silhouette", each of distinctly separate character. The proceeds will be donated to the Leukemia and Lymphoma Society. 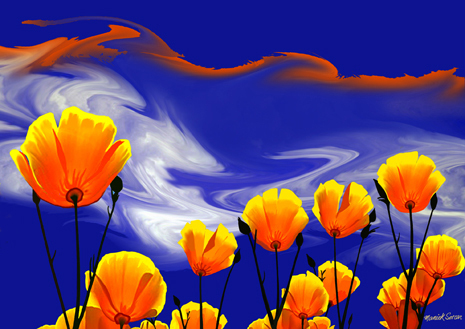 the painting brush is an electronic pen, and the canvas is the digital tablet ". 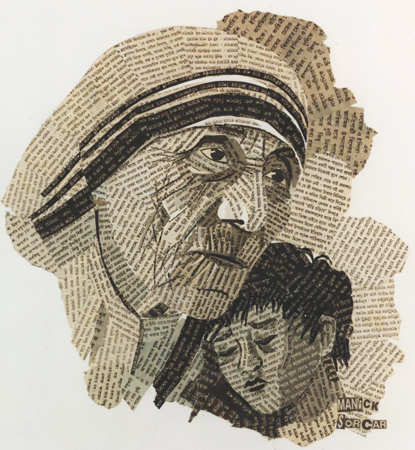 "Mother Teresa" , a news-art by Manick Sorcar, where newspaper pieces are collaged for the art. from Kolkata, India, where she first started her charity order. "For shades, I searched several newspapers to find flaws in ink impressions. The font size, ink darkness, quality of the print, and even the color of the actual newsprint had a significant role in creating the relief and 3-D effect", explains Sorcar. 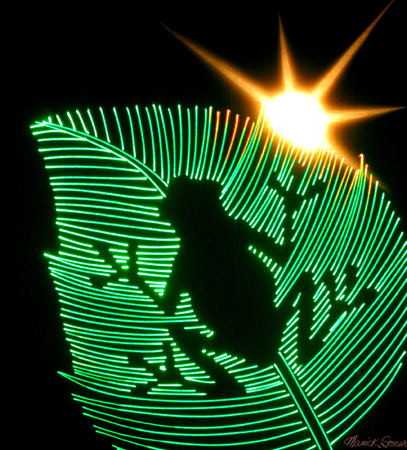 "Silhouette", a laser-art by Manick Sorcar. of the art work drawn with a digital pen". Two bands, "Gora Gora Orkestar" and "Carry Me Ohio", who will play live music at the event will donate their time, along with the D-Note, who also generously agreed to donate almost all of the cover charge people will be paying at the door directly to TNT.